No man is an island, so the saying goes, however most people living with cerebral palsy in Ghana are isolated from public life. People with cerebral palsy are denied education, sometimes basic health care and almost completely isolated from public activities. Mostly children with cerebral palsy are kept indoors and this is not the making of only the parents, but the society. The facilities to help people living with cerebral palsy to have an enhanced life are simply not there. Additionally, awareness about cerebral palsy is very low, even among the educated. Some parents get frustrated to get point of wishing their own children with cerebral palsy dead, yet others are reportedly frustrated to the point of killing their own children. There is also no clear pathway for parents or care-givers to follow in terms of managing a person or child with cerebral palsy and those who are able to sustain medical care and support do so at huge financial cost. Ghana is therefore denied the opportunity to access the impact that people with cerebral palsy could have in terms of their contribution to national development instead many are forced to beg on the street under the scorching sun or rains. Parents are burdened with managing children with cerebral palsy alone, forcing many parents and care-givers to abandon their jobs or their careers. The Special Mothers Project, an advocacy and awareness creation organization on cerebral palsy was started when I realized the very low level of awareness on the disorder. The project creates a platform for parents and care-givers of children with cerebral palsy to get together, share ideas and see how we can together influence policy to favour these children. As a mother of a 3 year old beautiful girl who has cerebral palsy, I believe that given the necessary supportive environment coupled with the right equipment that facilitate movement and the right policy framework, children with cerebral palsy in Ghana can have an enhanced life. The Special Mothers Project uses the platform as a skill learning platform where parents and care-givers exchange ideas, share opinions and encourage one another. With the necessary support and funding, the Project organizes periodic workshops that brings professionals like physiotherapists, speech therapists and special educators together with parents or care-givers to impart knowledge and share ideas. The Project also does a lot of news articles on cerebral palsy and, when given the opportunity, uses the radio platform to educate the public about cerebral palsy. My biggest desire will be to have government formulate favourable policies that will enable children with cerebral palsy get educated. As is it now, in Ghana, schools use their discretion to either accept or deny a child with cerebral palsy admission. This is due to the fact that many schools do not know how to handle a child with cerebral palsy. Even though there are special schools in Ghana, they are for children with autism, Down syndrome, blind and deaf. 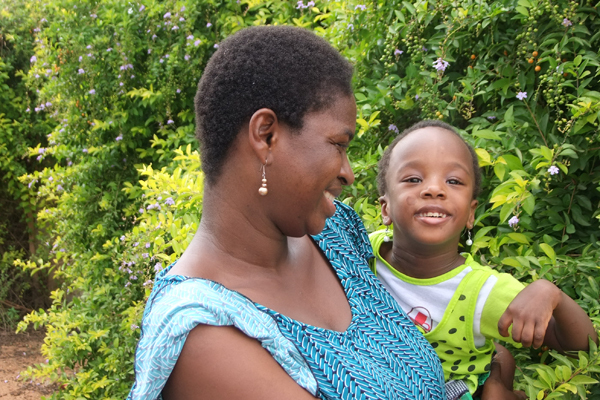 There is absolutely no provision made for a child with cerebral palsy to be educated in Ghana, so if a parent is not a bit more forceful the child ends up being isolated or killed. I will be more than glad if the Ghanaian society and the government pay more attention to issues related to cerebral palsy. To at least give these children access to basic education, health care and to enhance their lives to enable them contribute their quota to national development.